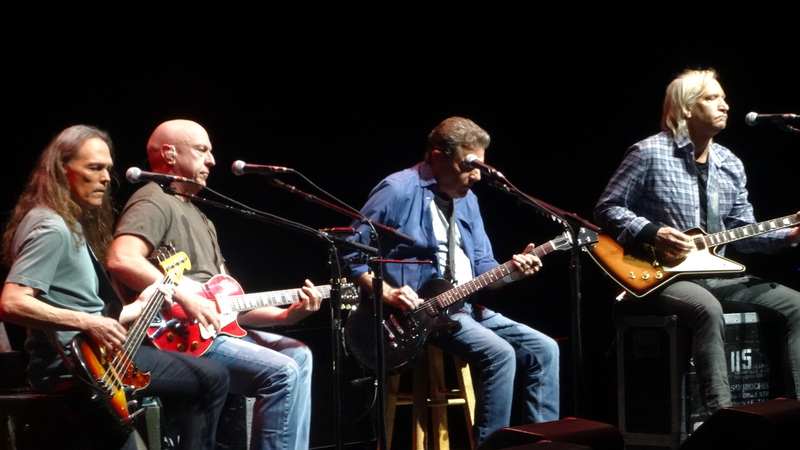 Get tickets to see The Eagles! Check out this American rock band formed in the early 70s. The Eagles have created and performed some of the greatest rock in decades and their discography proves it. The Eagles have won six Grammy Awards, are Rock and Roll Hall of Fame inductees (1998), Vocal Group Hall of Fame inductees (2001), and hold the honor of the Best Selling Album of the Century (Their Greatest Hits (1971-1975) ) from the Recording Industry of America. After the unfortunate passing of Glenn Frey, the band is touring with Don Henly, Joe Walsh, and Timothy B. Schmit. And still performing the classics. See them play Hotel California, Lyin' Eyes, Take It Easy, Peaceful Easy Feeling, Desperado, and more, LIVE! Check out The Eagles now. Don't miss out!